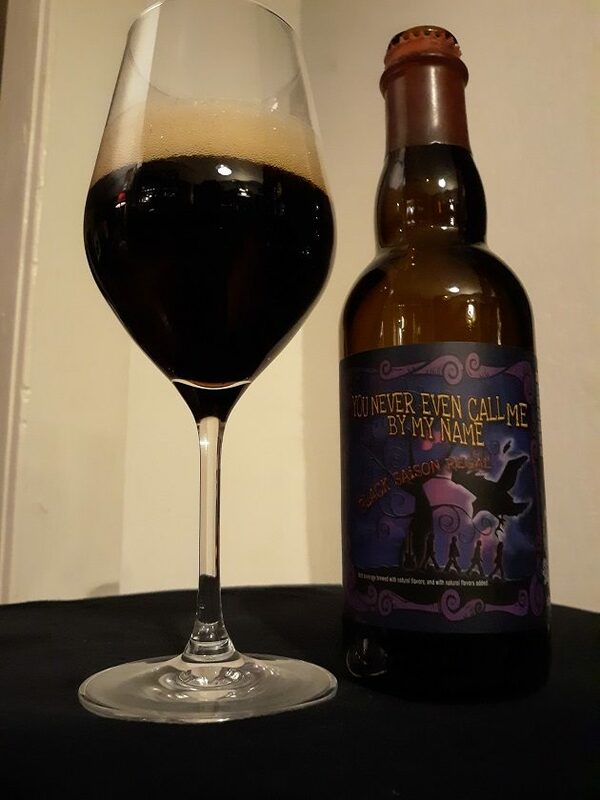 Hallowe’en was two days ago, but today is All Souls’ Day and the Day of the Dead, so let’s continue the Hallowtide celebration for one more day with a spooky beer. 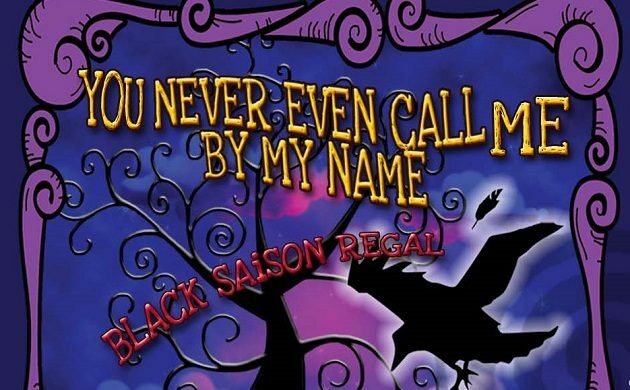 You Never Even Call Me By My Name by Trinity Brewing Company (whose Le Capitaine Saison we featured last year) is the new name for a saison-style ale the brewery used to call Merle – or Merle, Saison Nocturnum, to give its full name. Now, when I hear the name “Merle”, I immediately think of country music, thanks to Mr. Travis and Mr. Haggard. But the name of this beer had nothing to do with “Sixteen Tons” of coal, or “Okies” from Muskogee, but birds: merle is also the French word for “blackbird”. 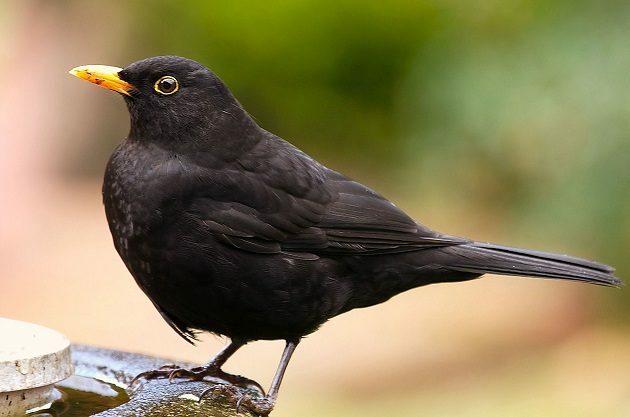 And, of course, by blackbirds I mean true thrushes of the family Turdidae, of which the Common (Eurasian) Blackbird (Turdus merula) is the most famous in European culture and folklore. To make things even more confusing, Trinity Brewing Company is located in Colorado Springs, where none of the thrushes are black, but one of the resident blackbird species – which are all New World icterids – is named for a Brewer. Still with me? 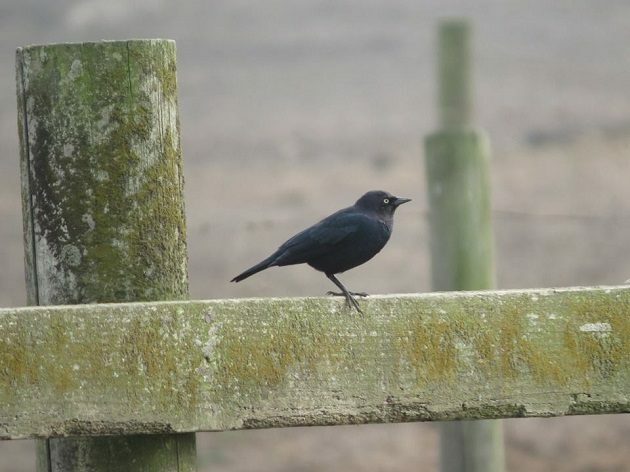 Brewer’s Blackbird is a more beery icterid than most, but it’s no merle. We can only surmise that Trinity gave their saison a French name in keeping with the style’s origins in French-speaking Walloon region of Belgium, and that their choice of a blackbird was meant to represent the unusual dark color of Merle (traditional Belgian saisons are mostly very pale). Most saisons aren’t anywhere near as dark as this Common (Eurasian) Blackbird. “Merle” makes a nice name for country and western singers, blackbirds, and beers, and Trinity wasn’t the first brewery to have this idea. A few years ago, the brewery wound up in legal trouble over copyright infringement with the North Coast Brewing Company of Fort Bragg, California, which already had a blackbird-inspired beer of their own called Le Merle. Trinity’s Merle has since been renamed You Never Even Call Me by My Name after the humorous country song of the same name written by John Prine and Steve Goodman, and made into a hit by controversial outlaw country singer David Allan Coe (who should under no circumstances ever be confused with field guide author and illustrator David Allen Sibley). The song namedrops Merle Haggard, among other country music luminaries, as the singer complains about not being as famous as these other crooners, so it made a fitting substitution. Before the story of this beer and its name gets anymore complicated, let’s just move along to the tasting. But did I mention the label art features a small but obvious silhouette of The Beatles crossing Abbey Road from the cover of that eponymous album? I suppose they’re there because they wrote and recorded the most famous tune ever about a blackbird, but that song was on The White Album, wasn’t it? Trinity calls You Never Even Call Me by My Name a “Saison Regal”, so I hope it makes up in regality what its former name lacked in legality. 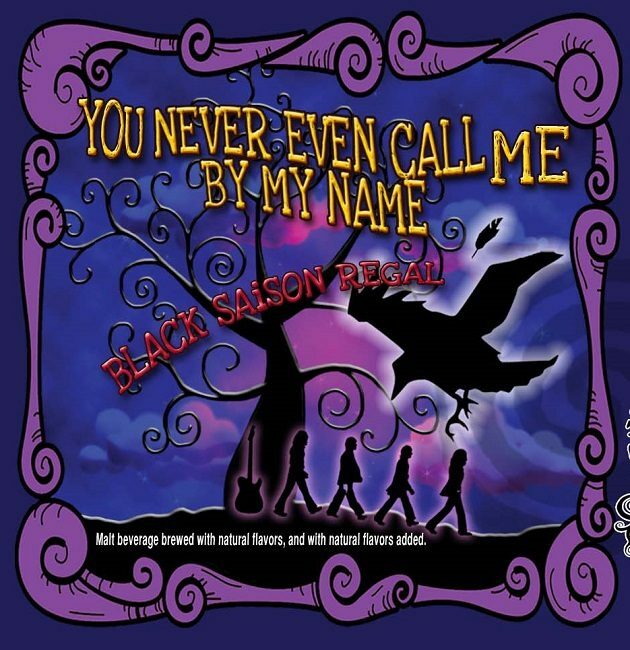 You Never Even Call Me By My Name is a dark, strong ale flavored with sassafras, sarsaparilla, hibiscus, and cumin, and a dose of old wild yeast friend Brettanomyces. There’s really nothing about it that recalls the traditional saisons of Belgium, but saison has always been an open-ended, freewheeling style, so even those most extreme versions work, somehow. Trinity claims You Never Even Call Me By My Name is an “intimidating jet black”, but it’s not quite that dark; its more of a deep mahogany with garnet highlights, topped with a dense, creamy head. The aroma is slightly sour, recalling tart cherries and even sour cream and raisin pie, the classic Midwestern dessert for which it would make an excellent accompaniment, followed by molasses, a slight earthiness that could be the cumin, and the barest hint of alcohol. The palate is surprisingly more sweet than the sour, tasting of vanilla, dried fruits, and the rich, toasted nuttiness of hazelnut liqueur (or if you prefer, Nutella). This sweetness is washed away by a gentle tang, followed by the unmistakable but subtle root-beeriness of sassafras and sarsaparilla. You Never Even Call Me By my Name ends with a wonderfully foamy, soda-like finish balanced by the medicinal bitterness of licorice. If you haven’t had your fill of sugar after Hallowe’en, this beer could easily be turned into a nice float with a scoop of vanilla ice cream.